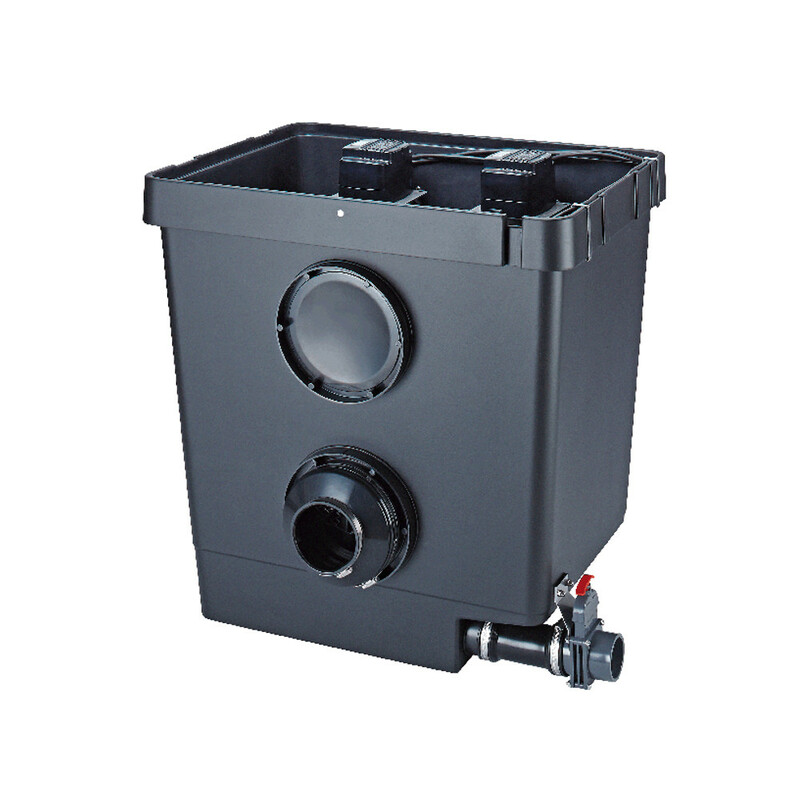 Oase Proficlear Premium Pump Chamber is a space saving system that can be integrated with the Classic or new Compact systems. 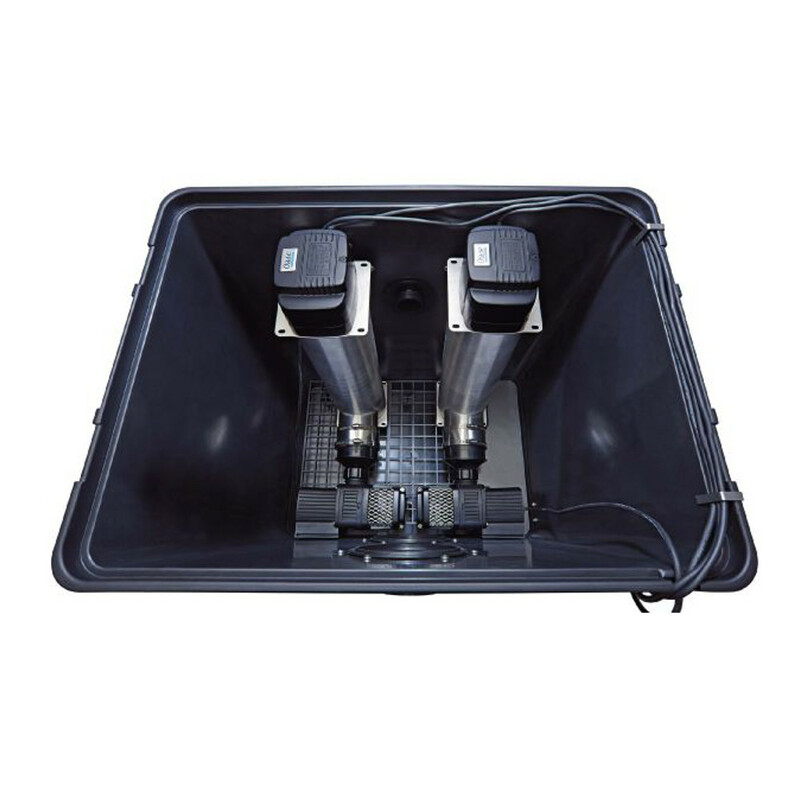 The Chamber enables integration onto the advanced filter systems, by making giving designated space for up to two Aquamax Gravity Eco Pumps and Bitron Gravity UVCs. 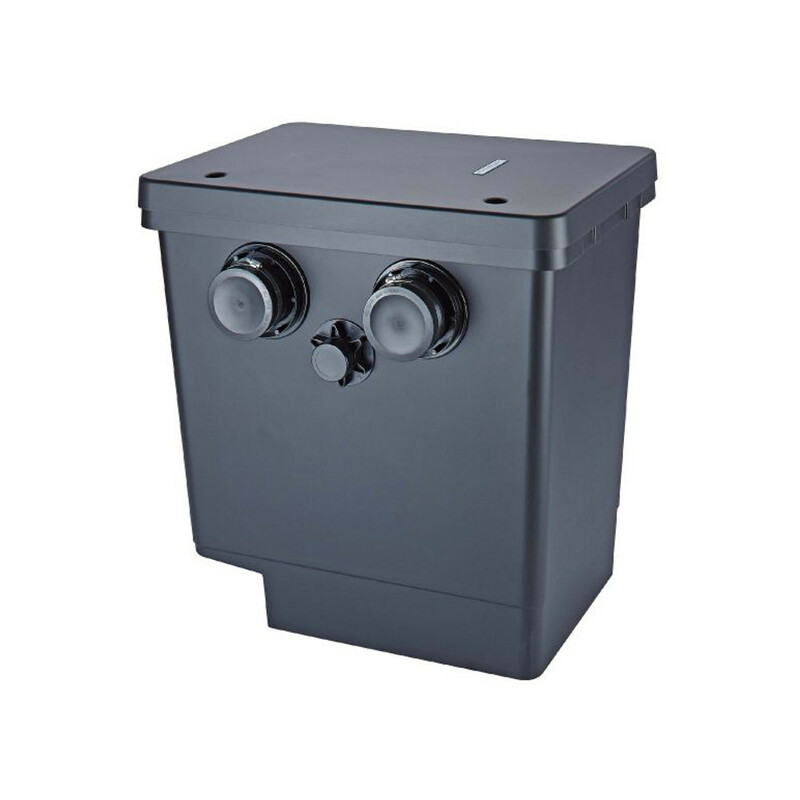 The unit has space to include these optional units and fits neatly onto the Module Classic system or onto the newer Compact gravity fed systems. 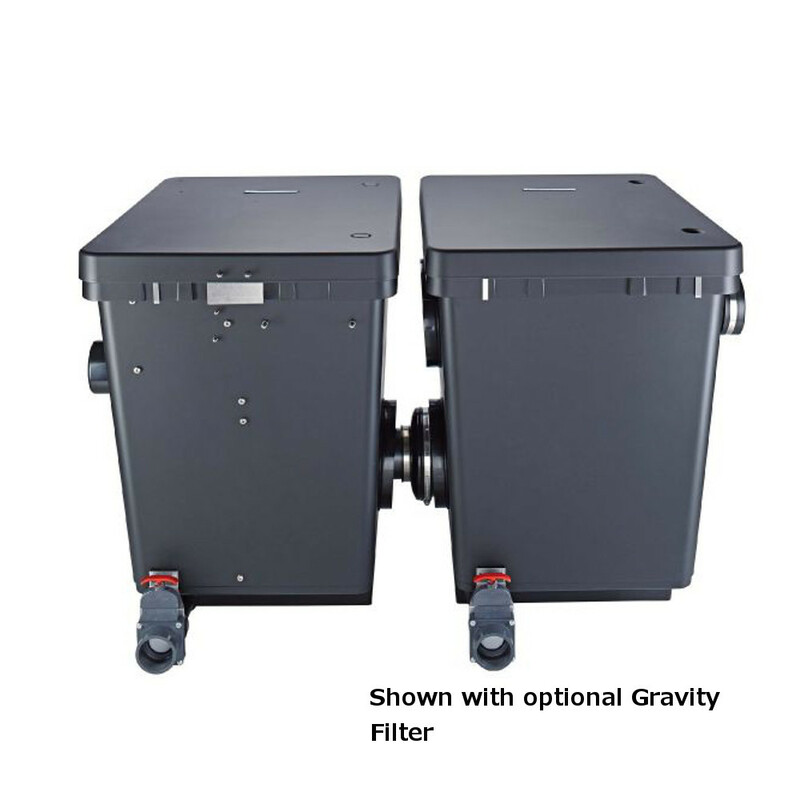 The chamber has the required inlets and outlets to ensure a smooth connection to the gravity fed systems, keeping the filter system neat and tidy as well as saving space.